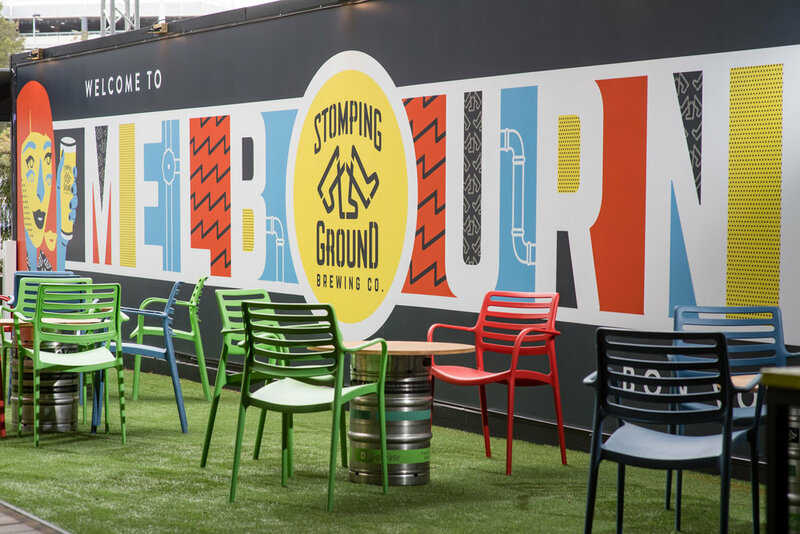 Stomping Ground ‘Terminal 3 ½’ is back to bring you great local food and drink at the airport! 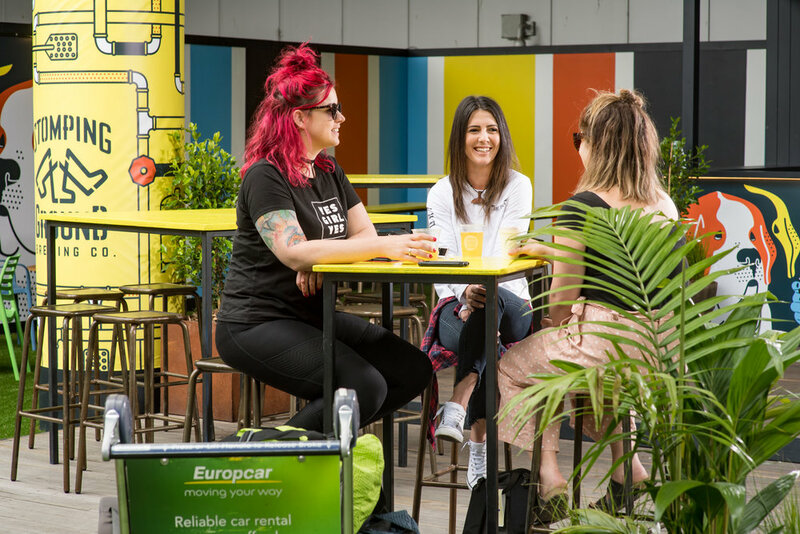 Whether you’re dropping off, picking up, flying in or jetting off, you can enjoy a unique Melbourne experience between Terminals 3 and 4 all summer long. 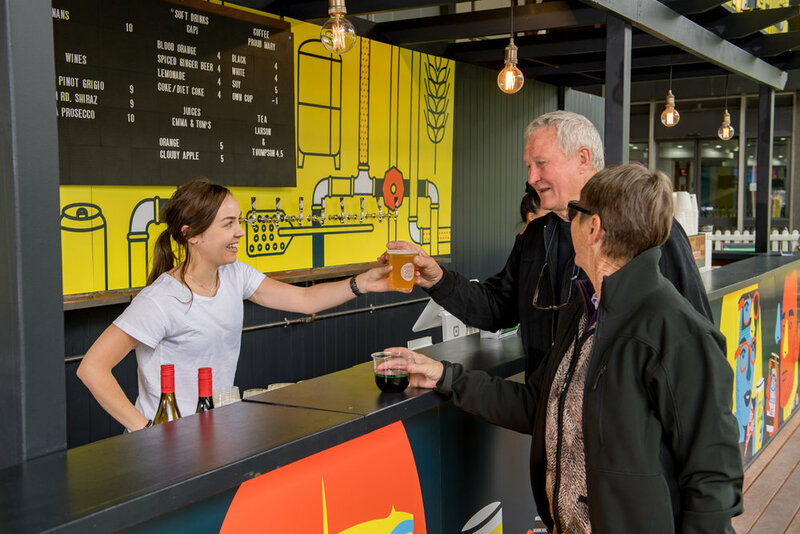 It is open every weekday from 7.30am (with beer flowing from 10am), and features 12 of our beers on tap, along with Victorian wines, ciders and locally-produced soft drinks. 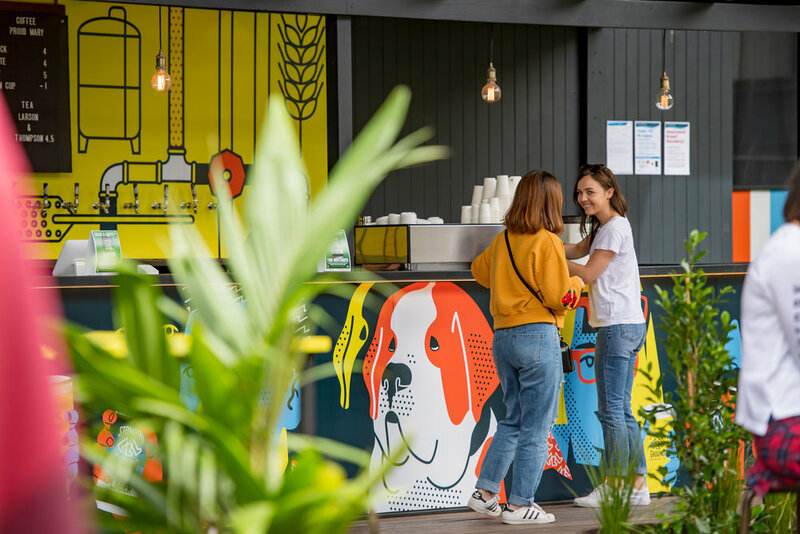 The Melbourne theme doesn't stop there either, with local coffee from Proud Mary, and some of our city's best food trucks on rotation. 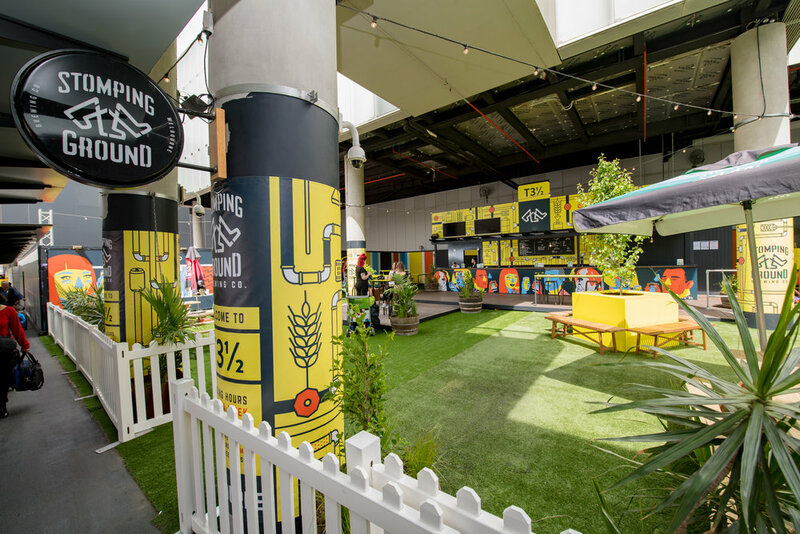 You can find us right between Virgin and Tiger/Jetstar terminals - opposite the SkyBus pick-up point. There are screens showing departure and arrival times so passengers don't miss their flights, and you can even relax on deck chairs on the lawn in the sunshine. 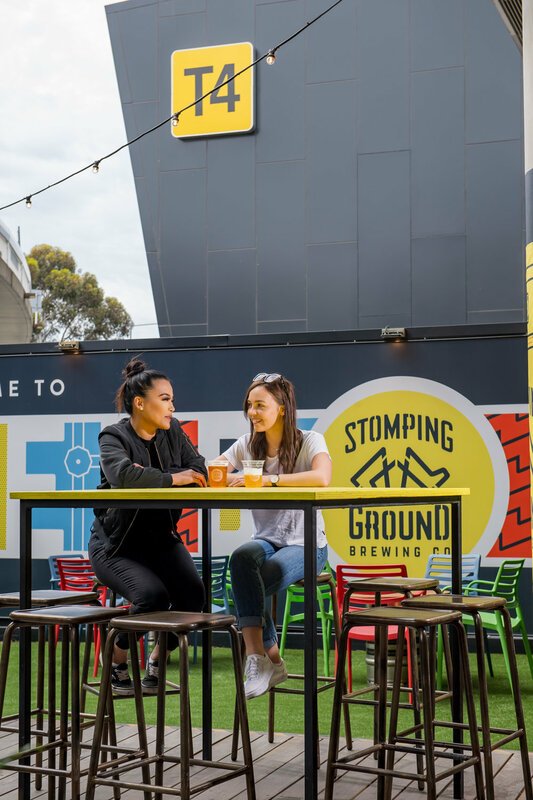 So if you're travelling from or to Melbourne, picking someone up, or you're working or staying nearby, drop in and see us for a beer! Click here for the most current menu. It is subject to change.